Amar has grown up all his life helping gather the required number of people for rituals her mother performs. He savors his freedom from this chore thanks to admission in a U.S. University. One day in the small university town, he encounters another young man trying to collect some people for an apparent ritual. 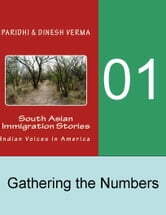 Amar thinks it is similar to the numbers he used to gather, but is it really so?